Our commitment to environmental excellence at Haile is setting a standard for the mining industry. 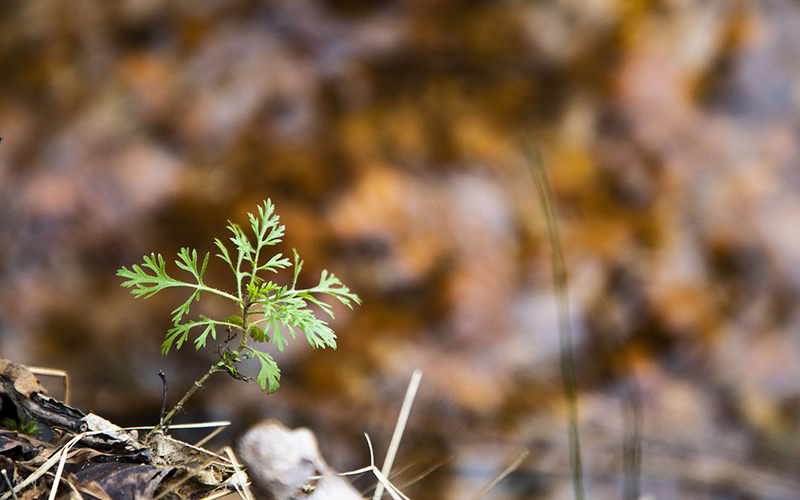 We are committed to reducing our environmental footprint through continuous improvement in environmental performance. Our Environmental Policy outlines a commitment to respect, honor and support biodiversity and the natural environments wherever we work by identifying, mitigating, minimizing and managing our site based environmental impacts and our company environmental footprint. Building and operating a mine will affect the physical environment around a mine site. This is why we are committed to minimizing or mitigating these impacts wherever possible. Along with restoring the Haile site with reclaimed grasses and lakes so that the land may be safely used again when the mining is finished, we’re going to also preserve and restore wetlands damaged by previous mining operations. 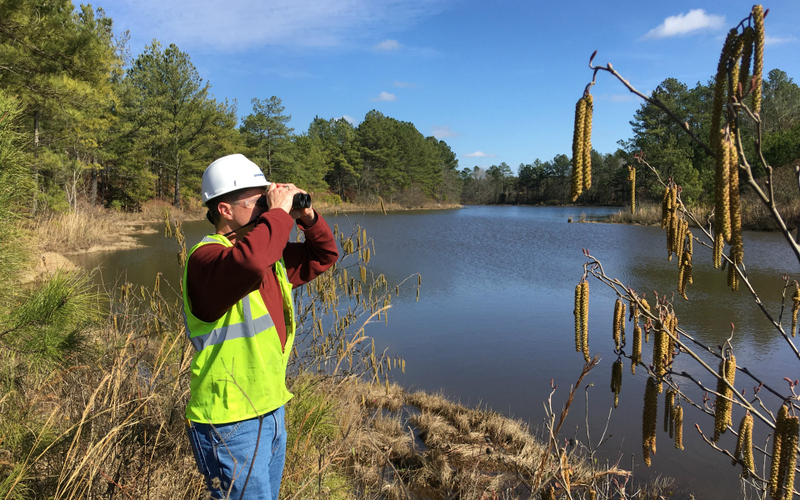 A special project in our region is growing the population of the endangered mussel species, the Carolina Heelsplitter. We are proud to be a part of this project. 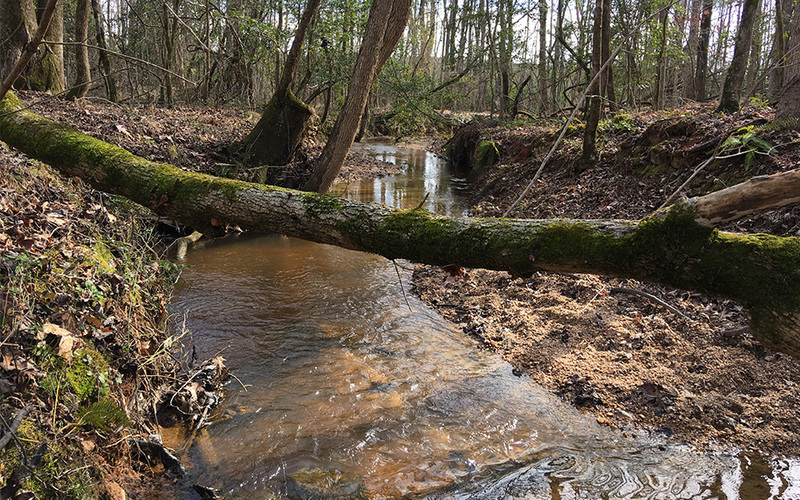 Learn more about our efforts with the heelsplitter project and the land we’ve protected that will provide the crucial habitat for the heelsplitter to flourish. 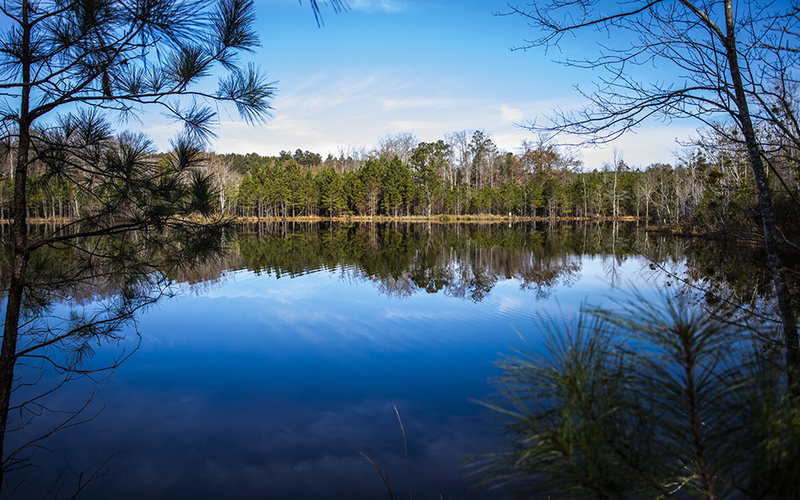 We have committed $65 million to reclamation, that includes reestablishing wetlands and streams temporarily affected by current mining operations, in addition to creating entirely new wetlands and other bodies of water. As of early 2019, we have already planted more than a thousand trees. Why are we doing this? Because it’s the right thing to do. In accordance with our Environmental Policy, we are committed to responsible environmental management through all of the stages of the development cycle: exploration, construction, operations, and closure. We aim to respect, honor, protect and support biodiversity and the natural environments. 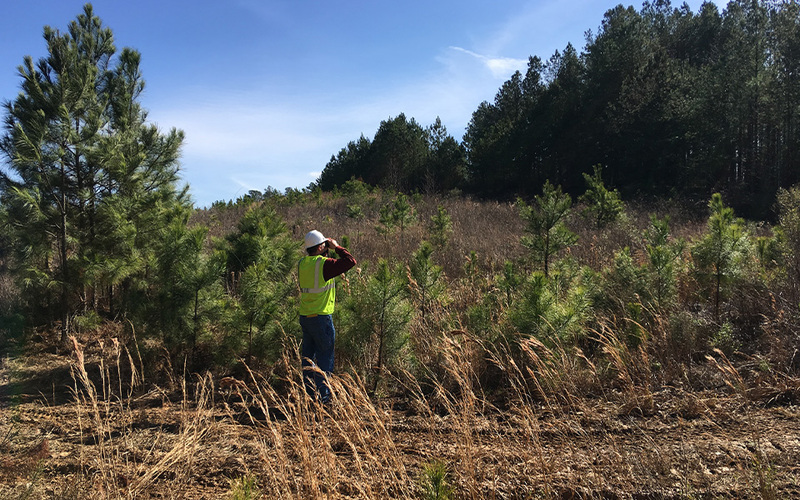 We will continue to identify, mitigate, minimize, and manage the activities around this site to ensure improvements in water and air quality, integrated approaches to land use, and protecting the plant and wild life around the site. 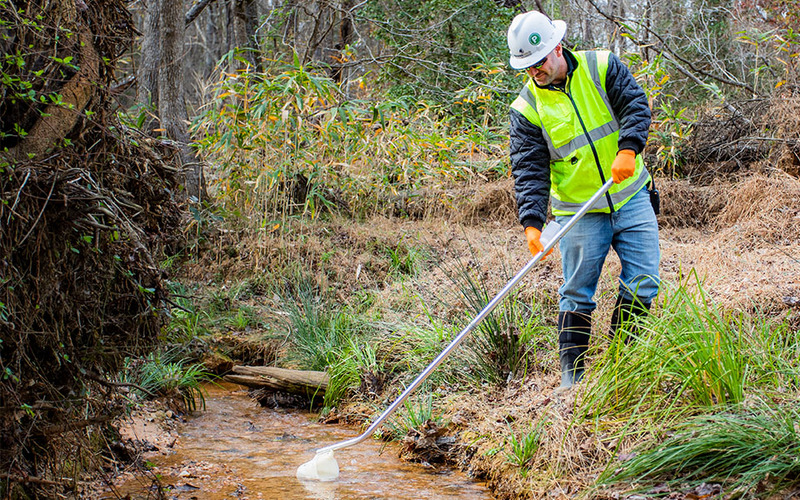 We will provide the necessary training, education, equipment and information to our employees and contractors to ensure greater environmental awareness and performance. We stress the importance of taking responsibility for good environmental practices; reporting environmental hazards; and complying with regulatory obligations. Gold was discovered at Haile in 1827 and over the course of nearly 200 years, the Haile site has had multiple waves of mining activity. There is very little land in the area that has not been disturbed at one time or another by mining. There is still evidence of past practices around the site. 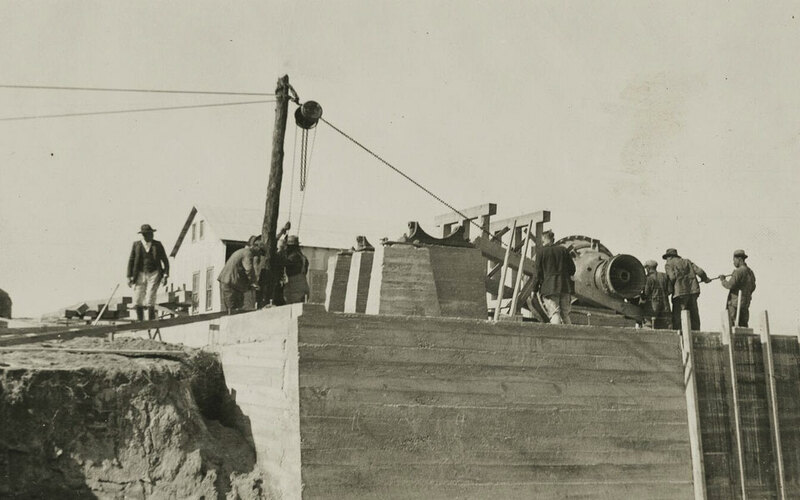 Today, Haile is setting a new standard in gold mining…with excellence. Equipment utilizes Caterpillar Type IV low emission engines. Speeds within the mine are controlled to minimize fugitive dust. Blasting emulsion minimized to match geology and reduce dust and flyrock. Depressurization wells installed to minimize water in the pit. Proper segregation of materials for future reclamation. Installation of erosion and sediment control features. Concurrent reclamation where several pits will be backfilled, contoured and revegetated. Concurrent reclamation is a standard practice and existing disturbances are 100% bonded. 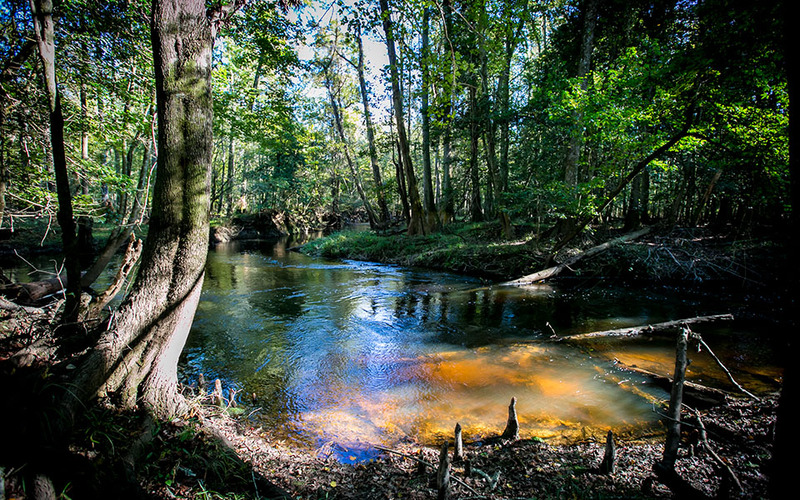 Where possible, wetlands and streams will be restored, even temporarily used wetlands and streams will be mitigated through preservation or restoration of other wetlands near the mine. We will return the site to a useful purpose and protect the surrounding natural resources. 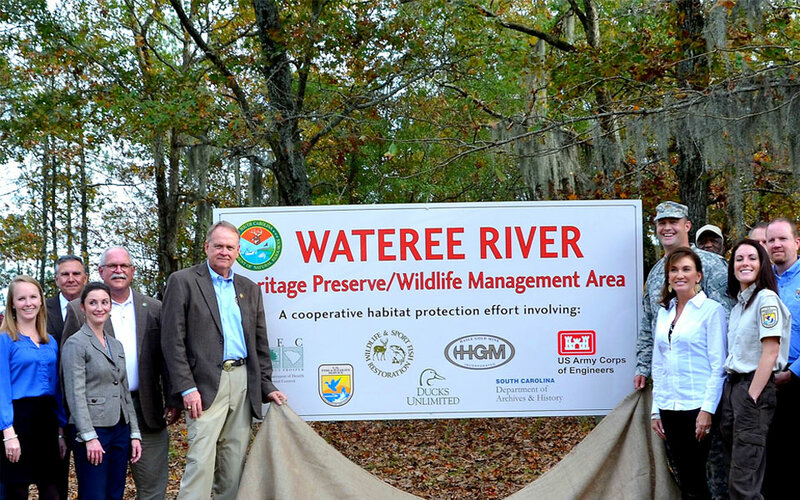 Engineered wetlands will be installed where appropriate to ensure long-term water quality. Any rain that falls in the pit or on high sulfide material will be collected and treated. Water Treatment facility effluent must meet specific EPA discharge limits that are tighter than many drinking water standards. Process water is neutralized and then appropriately recycled. The Tailings Storage Facility and all contact water ponds are engineered to contain extreme amounts of precipitation (more than four feet of rain in 24 hours) and to sustain a large earthquake – all at once. Internal monitoring wells are measured for water quality and depth on a regular basis and reported to government agencies. 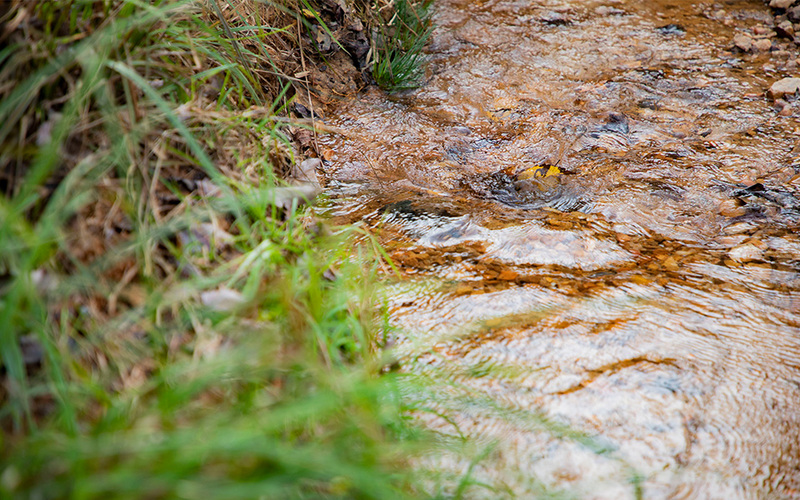 Surface water streams are monitored for health of key aquatic species. Birds, wild life and plant life are monitored for sustained growth. Nurturing positive stakeholder and regulator relationships that foster open and accountable communication. Identifying environmental risks and taking proactive initiatives to minimize the impact. Extensive programs to audit and assess environmental performance. Extensive training in groundwater and surface water management. Meeting challenging standards for air emissions. Improving education and training programs to improve environmental awareness. Protecting cultural and historical sites. Identifying, monitoring and managing opportunities to reduce greenhouse gas emissions. Actively participating in Management Reviews. Constantly identifying opportunities for continuous and measurable improvement. Mine Closure & Reclamation…When It’s All Said and Done. When the Haile operations are complete, we will return the entire to site to land that can be safely used and protected for the long term. This restoration will include lands damaged by previous mining operations. 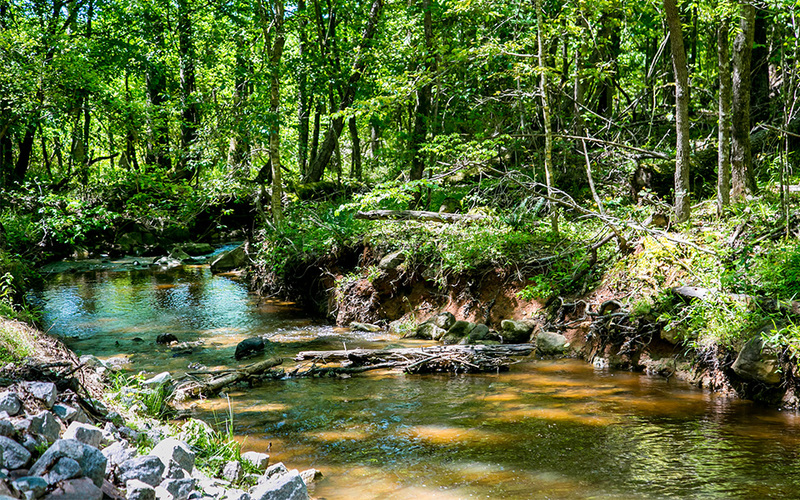 In some areas, the South Carolina streams that run through the property will be restored to the best condition they have seen in nearly 200 years. What, exactly, the land will be used for can be determined over the years…but we’ve heard suggestions that range from a golf course and fishing lakes to a manufacturing site (we’ll have lots of proven, skilled workers), shooting range or wildlife refuge! Site reclamation will begin during the mining process in areas where mining has already been completed. After active mining has ended, the entire site will be reclaimed, bringing the land to a stabilized condition, including revegetation that would provide for long-term protection of land and water resources, minimize the impacts of mining, and support potential post-mining land uses. The Ore Processing Facility, buildings, sediment control ponds, utilities, roads, and mining equipment would be demolished, salvaged, or removed as appropriate, depending on post-mining land uses. All areas would be re-graded to promote drainage, covered with soil and vegetated. Four of the mine pits (Haile Pit, Mill Zone Pit, Red Hill Pit, and Chase Pit) would be backfilled, re-contoured and vegetated. Below is an example of the reclaimed Snake Pit. 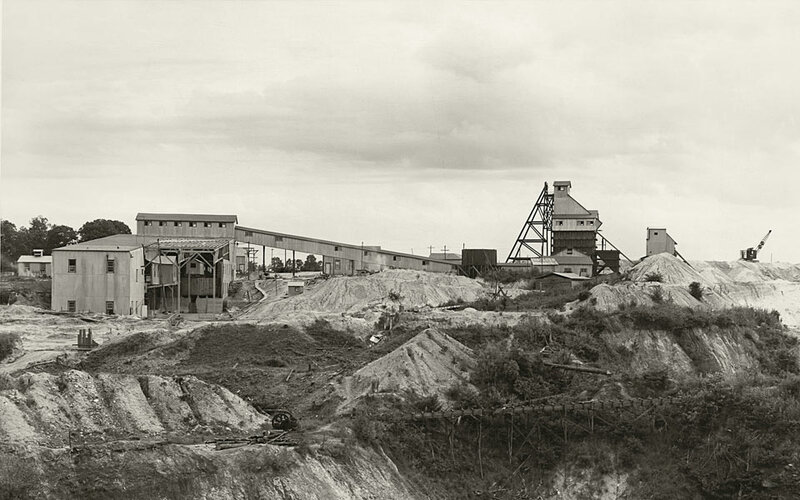 Three mine pits (Ledbetter Pit, Small Pit, and Champion Pit) would fill with water over time (rainfall, runoff, and groundwater) and become lakes. One mine pit (Snake Pit) would be partially backfilled, with the remaining area filled with water to form part of Ledbetter Pit Lake. After reclamation, the tailings storage facility and Johnny’s PAG will be maintained as undisturbed land. 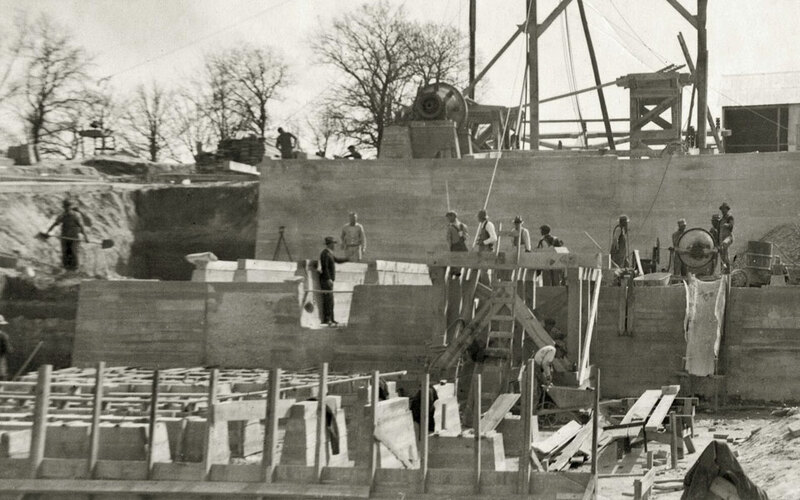 Haile is once again the largest mining operation on the East Coast, just as it was 100 years ago. But the Haile operation of today has the benefit of modern knowledge and technology that allows us to both mine the gold and preserve and protect this historic area of land. We are fully committed to the environment, our employees and the community throughout the life of the Haile mine and for many, many years to come. 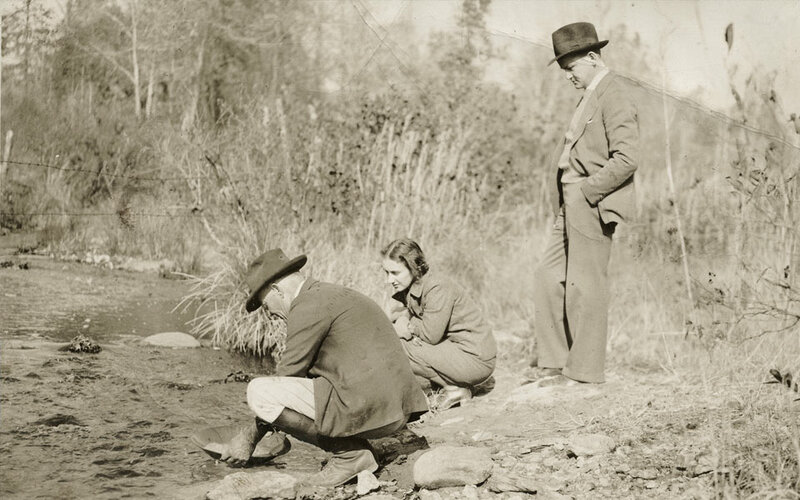 This is not only our Environmental Policy, it’s our legacy. Those who are lucky enough to know her call her Kiki. 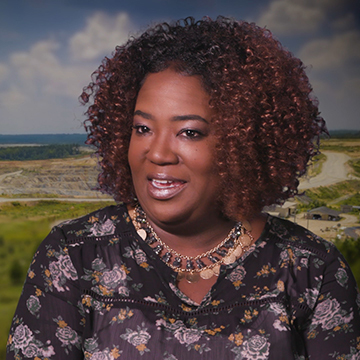 Click here to hear her story about growing with the Haile Gold Mine family.